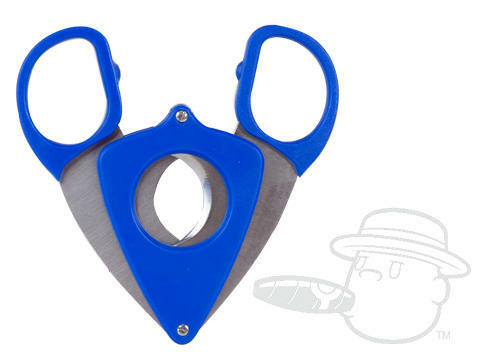 These neat little scissor-style cigar cutters cut your stogies nice and clean, and come in a variety of festive colors. Great cutter to bring to camping and fishing outings. It does the job very well! Somewhat light weight but very sharp and efficient. great for cutting small to medium cigars. Credo Scissor Cigar Cutter is rated 3.4 out of 5 based on 4 customer ratings. What is the largest size ring gauge this will cut? This cigar cutter will cut up to a 60 ring gauge cigar.